Esther Anil, the child artist who shot to limelight as the second daughter of Kamal Haasan in Papanasam has appeared in more than 22 movies. 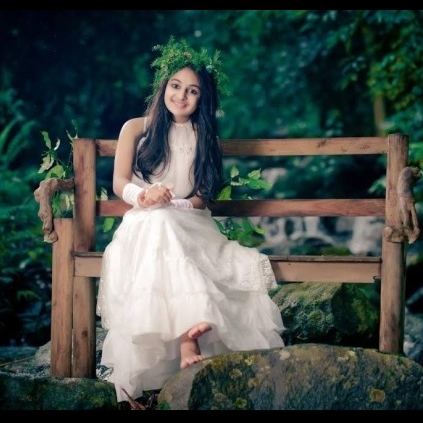 She has featured in Malayalam, Tamil and Telugu movies, and is one of the most sought after child artists in South India. Currently she is working in Gemini, directed by P.K Baaburaaj where she plays the title character and also Minmini, a Tamil-Malayalam bilingual film directed by Halitha Shameem of Poovarasam Peepee fame. This film also features Abhishek Krishnan, a former behindwoods employee. An interesting fact about Esther is that she is the first child artist to have 25 lakh followers in Facebook. Congrats Esther! People looking for online information on Esther Anil will find this news story useful.